Your essential wellness resource for authoritative exercise and nutrition plans, direct from the world's top trainers, professional athletes and A-list movie stars. The only publication with up-to-the-minute premium health and fitness advice you can use in your regime today to get better results tomorrow. Whether you're traveling or just short on time, this minimal-equipment workout is sure to keep you fit and help you build muscle. At 75 years old, Frank Zane still looks impressive, and he's full of fresh advice gained from a lifetime spent in pursuit of perfection. Read his latest thoughts on what you need to keep your body fit for the long haul. With 20-inch arms, a 50-inch chest, and a 35-inch waist, The Rock's physique is to be admired. Get a sneak peek into his methods, his diet, and his bread-and-butter training plan. Discover your workout personality—and the best workout for you to sculpt the body of your dreams. Seeds might be small, but they pack a mighty nutritional punch. Harness the power of the seed with these easy additions. Treats aren't just for dessert, especially when they're high in protein. Eat tasty (and smart) on the go with these bite-sized treats. Be the fittest you'll ever be, whatever your age, with our guide to the ultimate workout goals to live longer, fitter, and healthier. He may be the fastest human to walk the earth, but competing in the Olympics is as much a mental feat as it is a physical one. Learn how "The Lightning Bolt" keeps his head in the game. Go the Distance: How To Fuel for Marathons and 10Ks! Smart food choices in the right quantities and at key times can make all the difference during races. Learn the essentials from a marathon winner to fuel your personal best! Cake, candy, and gains make this one delicious dessert. 5 Fall Foods For A Healthier You! Keep your body fueled with these 5 delicious fall foods. Each one is packed with flavor and a dazzling array of nutritional benefits! Make sure your cheat is still a muscle-building treat with this sweet, protein-rich recipe. 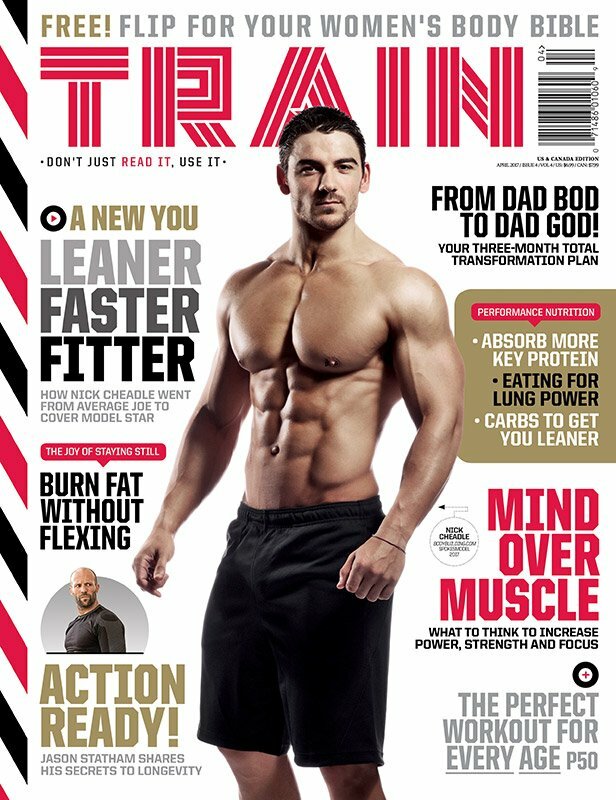 TRAIN is the official print partner of Bodybuilding.com, with a copy of the magazine going into the first 175,000 orders each month.